There are many misconceptions about the first Black woman millionaire. She didn't invent the hot comb, and she loved her blackness. Biography.com caught up with Walker's biographer to provide more insight into her life. 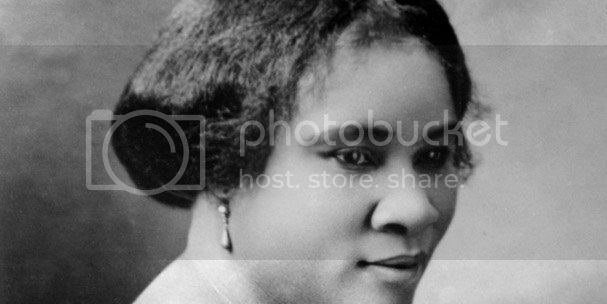 Madam Walker’s “primary goal was to develop a shampoo to clean the scalp, and an ointment to heal scalp disease and help regrow hair,” A’Lelia explained, adding that people often make the mistake of believing she invented the hot comb for straightening African-American hair. Because straightening African-American hair is highly politicized, it could be one of the reasons she faded from the forefront of the historical record. Instead of being seen as a champion of her race and gender, Walker was erroneously viewed as a traitor of sorts in trying to make African-American looks conform to white standards of beauty. As Walker’s fame and success grew, it’s only then that she began adding more products to her line, including hot combs and hair straighteners. “This was especially true as the 1920s approached and more European images of black women became the currency of the time,” A’Lelia said. But Madam Walker's hair product line was only part of her innovative vision; she was also a very forward-thinking employer. By the time she had moved her headquarters to Indianapolis, racism and the Klu Klux Klan were beginning to rear their ugly heads, so Walker designed her workplace as a one-stop shop for all her employees and customers: a theater, drugstore and beauty shop on the first floor; doctors, dentists and factory on the second floor; offices for the NAACP on the third floor; a ballroom and Walker corporate offices on the fourth. In honor of her historic and entrepreneurial role in the city, the Madame C.J. Walker Theater Center in Indianapolis continues that part of her legacy.